Antalya Public Hospitals Union is a union of 13 state hospitals, three oral medicine and dental centres, and a state-of-the-art training and research hospital. Equipped with the latest technology and staffed by highly trained and experienced doctors and associated medical staff, six of the hospitals in the group have been specifically developed for medical tourism and offer an extensive range of healthcare services including cosmetic surgery, cardiology, cardiac surgery, orthopaedic surgery, general surgery, physical therapy and rehabilitation, haematology, haemodialysis, cancer treatment and opththalmology. EVEX Medical Corporation is Georgia`s largest chain of hospitals, with a network of 54 healthcare facilities covering the country`s six regions. The facilities are organised into geographical clusters of polyclinics (outpatient clinics), community clinics and referral hospitals to provide a comprehensive range of services ranging from basic outpatient and inpatient care to complex specialist services. Memorial Hospitals Group is recognised worldwide for their superior care. They are renowned for their services in: organ transplantation, cardiovascular surgery, cardiology, oncology and IVF treatments. Memorial has a network of hospitals and clinics in Istanbul, Antalya, Diyarbakir and Kayseri providing the highest standard of medical care. 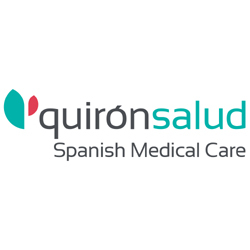 Quironsalud is the leading hospital group in Spain, boasting 60 years of experience, highly qualified staff and the latest technology. They are experts in a range of medical specialties and are particularly proud of their contributions in the field of cardiovascular surgery.